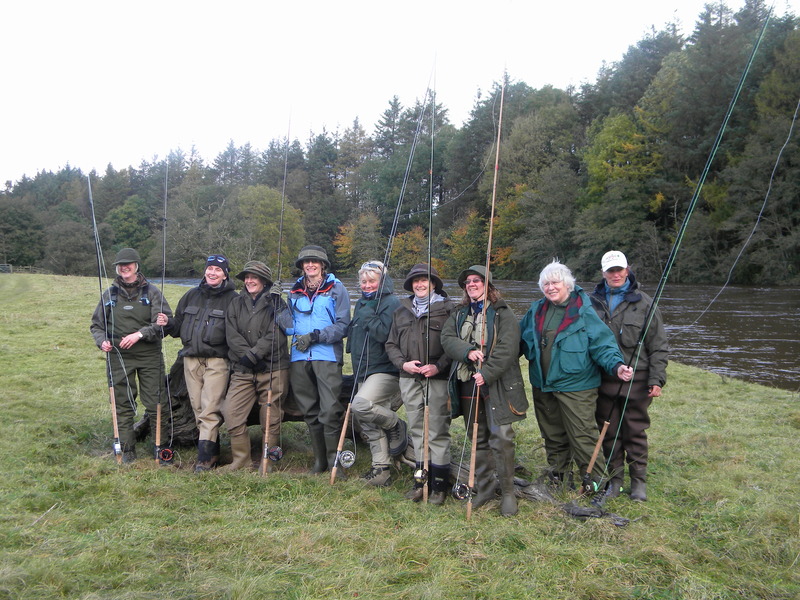 Our first Ladies Only Salmon School started with a steady downpour of rain after 4 or 5 days of brilliant fishing conditions! Typically as 2pm approached and everyone arrived so did the rain and cold. 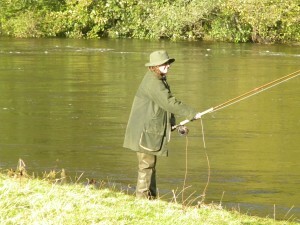 However our ladies were not put off and headed off to the river with Glyn and Sue to learn about tackling up and casting techniques. Lots of good food followed an afternoon of instruction and a well deserved rest. Day 2 – the river is big. Not a great day for fishing! But we’re learning all about river conditions and lots about technique – you don’t have to be in the river to get the most from our instructors. After lunch some stay for more tuition and the rest are off to the Barony Smokehouse to see how the fish are smoked for flavour and lots of sampling went down well! 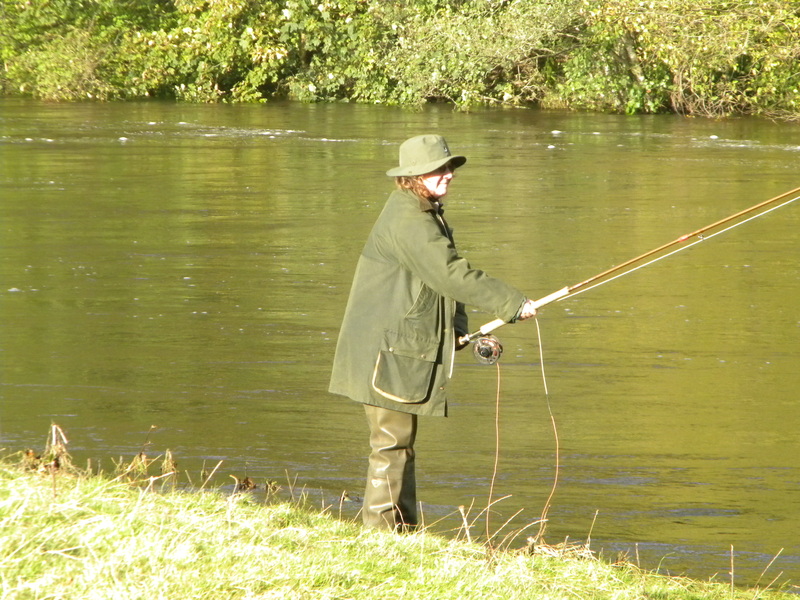 Then it’s back down to the river, a quick bite of cake and some coffee, and back to the fishing. 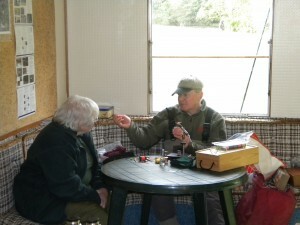 Mark is on hand throughout the day to demonstrate fly tying from the comfort of the trailer. Day 3 – We can get in the river! 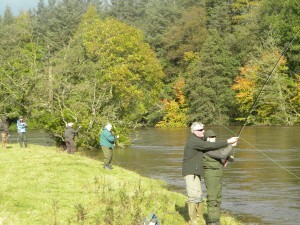 Lots and lots of fishing, putting into practice all that’s been demonstrated and learnt over the past 2 days hooray! Sadly no fish caught this time, but everyone leaving knowing much more about the salmon and how to fish for her in all conditions. Feedback coming in so far = happy fishing ladies, and one booked already to return next year. 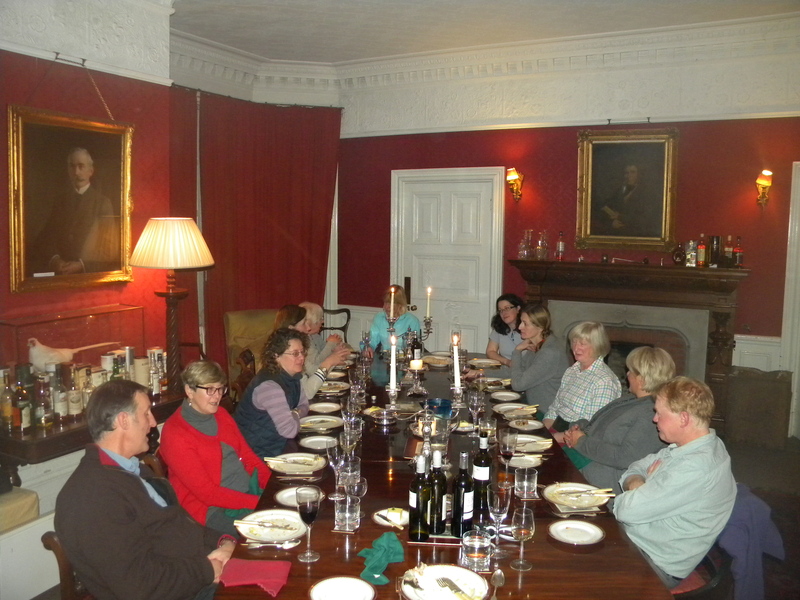 So thank you everyone for making our first Ladies Only Salmon School a success!